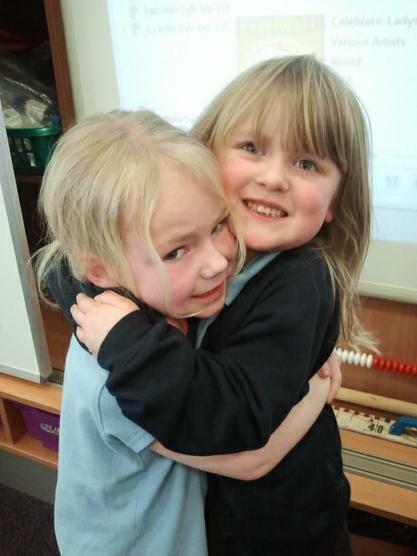 The theme in the Year 2 classroom was 'Getting on and Falling Out'. We looked at the bible story of Joseph and his 11 brothers who were very jealous of him. This was because their father loved him more and gave him a coat of many colours. 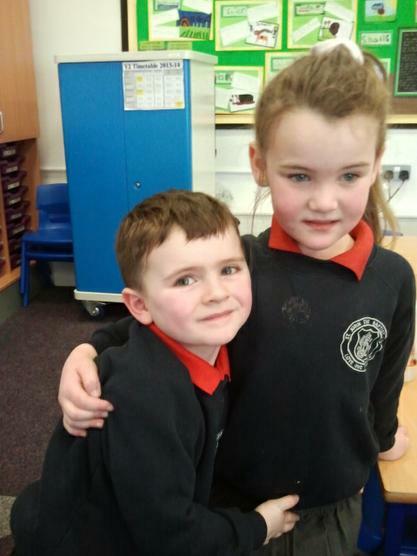 We looked at how Joseph forgave his brothers and how we should forgive others. We made medallions to hang on our tree of forgiveness. 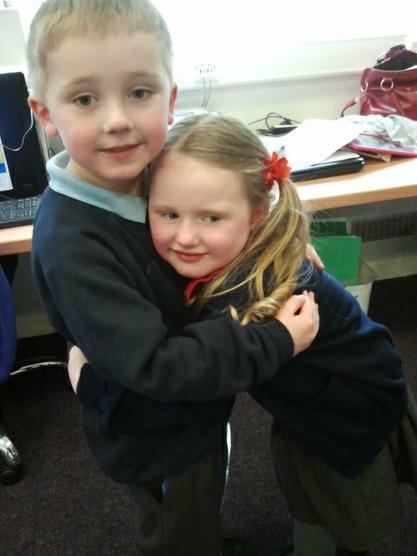 In the afternoon, Nursery and Reception visited the Year 2 classroom. 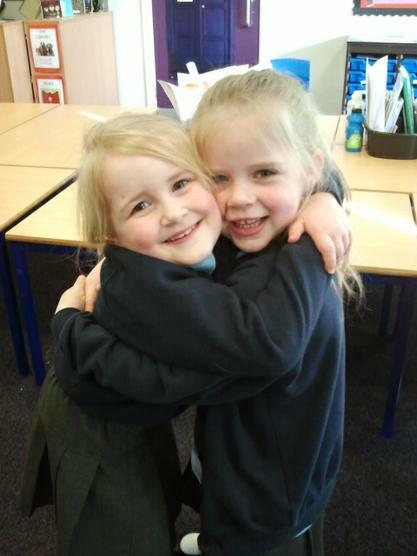 We played circle games with our friends and cooperated with the circle rules to make sure no one fell out or felt sad. 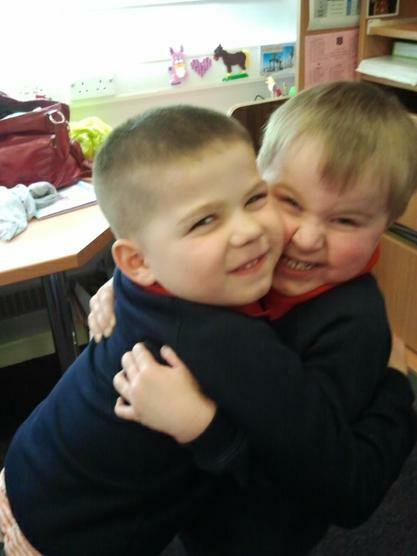 We introduced ourselves by rolling a ball to each other, took turns to pass a clapping ripple around the circle and even found time to play Pass the Parcel. 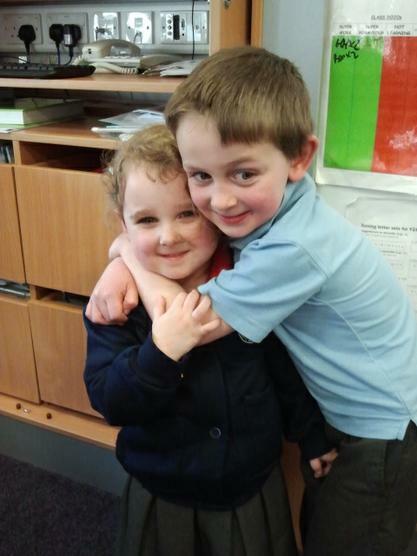 Leo and Archie each won the "parcel" prize and both shared the sweets with everyone in the circle. 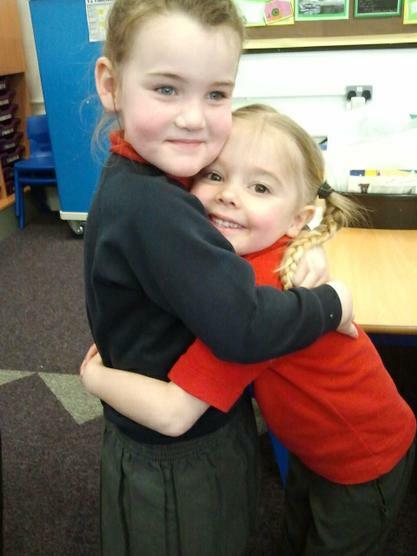 We finished our session with a quick round of "Pass the Hug". (see photos below!) which made everyone smile!! 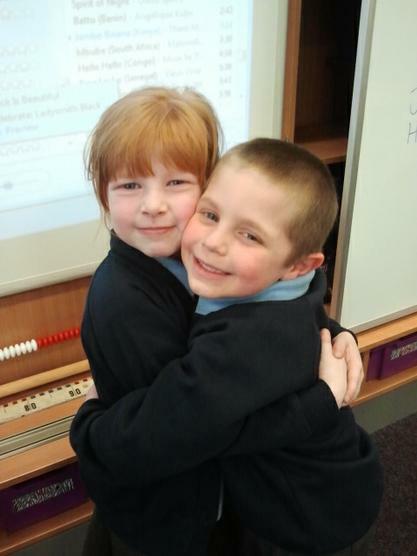 Circle games - Pass the Hug! 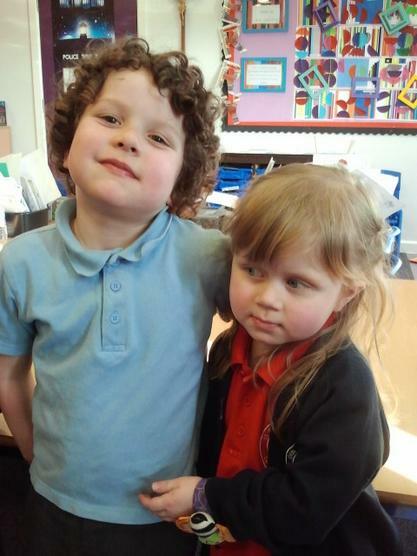 In Reception, the theme was, 'GOOD TO BE ME.' 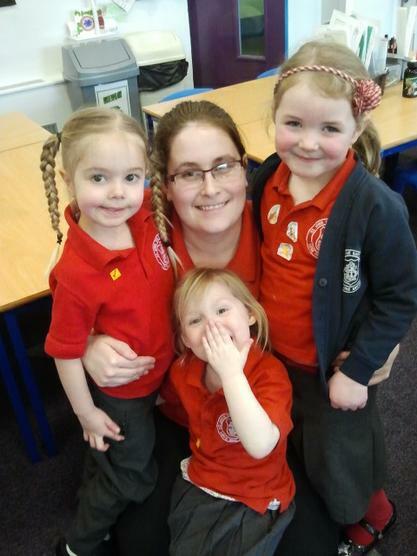 The children had a great time learning how to be proud of themselves and how it is important to love yourself before you can love others. 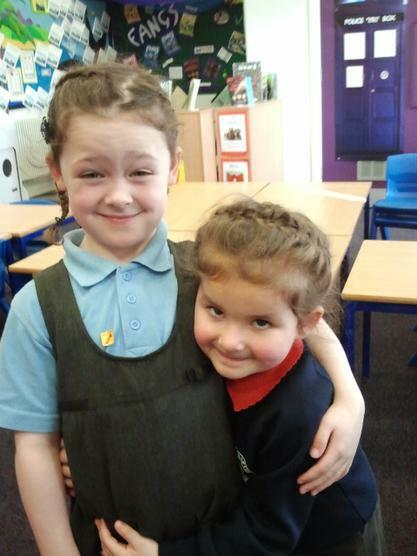 They had great fun making passports, paintings and happy faces. 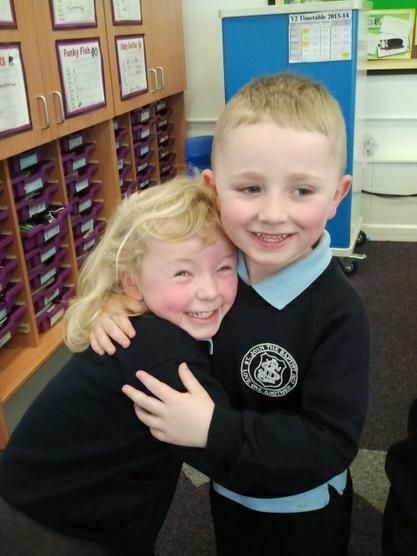 Take a look at the photos from when Year 2 were in there.